This piece is entitled “De-Territoral” and is a personal reflection on the Syrian refugee crisis. 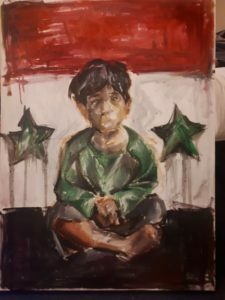 The subject matter is a study from a photo taken of an actual refugee child in Syria. The word “De-territorial” is inscribed in the top section of the piece in Arabic. 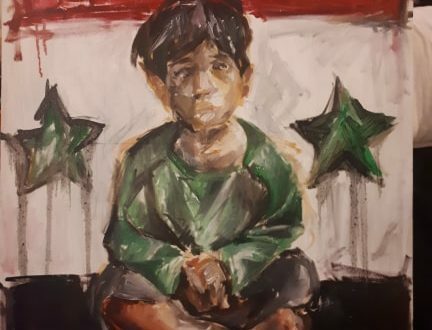 The naive, chaotic rendering is supposed to evoke a feeling of distress and displacement, with the child abstracted from a background and place in front of a Syrian flag, which is symbolically decontructed around him. 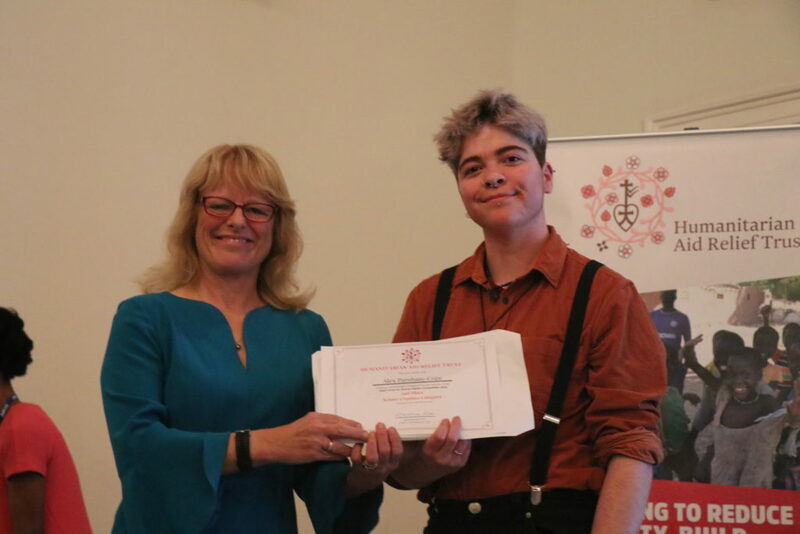 In particular the facial features are abstracted so as to anonymise the boy; he could be any of the hundreds of thousands of children fleeing Syria, and so this image is not specific to his story or identity, but a holistic comment on a vastly wider issue.